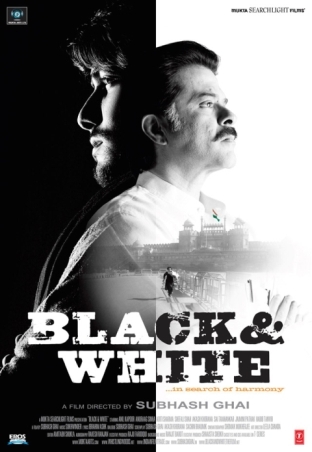 How do you compare "Black & White" with Subhash Ghai�s other movies? 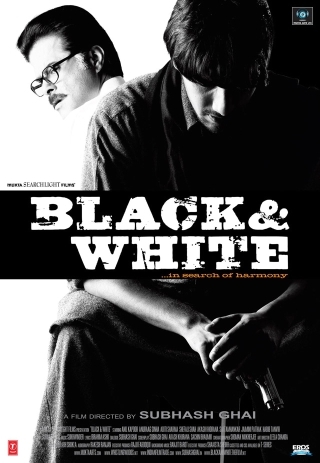 Has "Black & White" Delivered? What do you remember Subhash Ghai for? In case your answer is for movies like “Karma”, this one is not for you!!! If your answer is for movies like “Yaadein”, I don’t think any effort to make serious cinema can please you, and if your answer is “who is he?” well then I think you just need to read the last line of this review and avoid the movie altogether. Well, in all three cases you can opt for the third option. First things first, don’t watch this movie if watching all movies that aren’t very bad is not a motto in your life. The movie puts all its characters as clichéd as if they were in an old black and white movie. If only, Subhash Ghai had tried making a truly realistic film, moving away from the coincidences and concepts that we have seen a thousand times, this movie would have had the potential to become a classic. Alas, It never happens! The story of the movie is simple and interesting. A terrorist, a human bomb, a fidayeen Numair Qazi (new comer Anurag Sinha looks impressive) comes to Delhi as a suicide bomber who needs to blow himself up at the Red Fort on Independence Day. The network of terrorism is spread right from the “shana in the muhall” till the highest level of politicians (Arun Bakshi and Akash Khurana in forgettable roles). He is on a mission to give a form to his hatred by killing thousands of people whom he feels are responsible for the bad plight of his race. The only person to stop him is a man of peace, Professor Rajan Mathur (Anil Kapoor) is the one who believes and spreads the message of peace in the society. The softer part of the entire story, sweetness personified is the professor’s wife Roma (Shefali Chhaya), who wins the hearts of people easily by her talks and her charm. 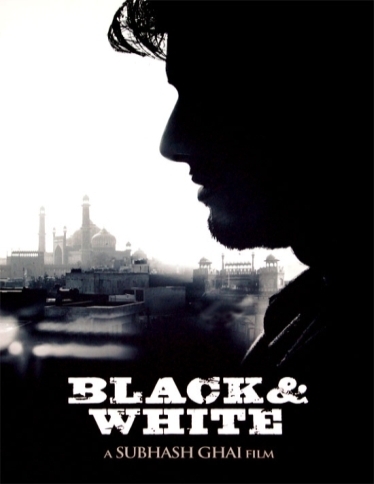 Slowly you delve into the mind of the terrorist, and realize how he starts seeing the white, the good side of the world while he had always been on the black side. This family, whom initially he considered to be his enemies, transforms his life. They make him a better citizen, purely by the power of love. But he has to do the act he has come out for, will he or won’t he? And more than that why would he or why shouldn’t he? This dilemma is what the film is intended to be all about. The scope was there to make a movie that actually spans at a philosophical level on the idea of the inner turmoil, the idea of good and evil, the idea of black and white, and at a story telling level it could have been an engrossing account of a human bomb, as he lived his life. Sadly, it never fully explores any of these levels. A clichéd, if I may use the word, pathetic characterization, a terrible screenplay (Sachin Bhowmik, Aakash Khurana and Subhash Ghai) and a dragging treatment to the movie take all the focus off of the good intentions that the movie had. Here is a “siddhantwadi” professor, who believes in peace and wears white, who can ham at the death of his loved ones, who is as clichéd as our “Amar Akbar Anthony” funda, and he is a Hindu Urdu professor who seems to understand the Koran very well. Then comes his wife, who is loud and sweet. Her mere existence was there to get killed for the sake of good and for the sake of a much-awaited transformation in the protagonist’s life. Of course you also have your angry young man, a person who has lost his loved ones in riots and is trying to take revenge by becoming a terrorist. In comes an old uncle, who seems to have been cloned from Ashok Kumar’s last roles. Add to that some glimpses of a forgotten sayonni style rock group, an amateur terrorist camp and a sobbing, smiling, playful young love interest for our angry young man. All this could have looked good, if the treatment of the film too would have been the clichéd Ghai style, with larger than life villains being fought by the unbelievable machismo of our heroes, but Mr.Ghai disappoints as he tries to venture into the genre of realistic cinema. The concept for the film was good, though it was not actually new (One of the movies that I could recall on similar lines was Rajesh Khanna’s Roti). The actors too I think were chosen very well and they acted just the way the script demanded. Then where did Mr. Ghai miss the bus? He missed it partly at the time of story development and completely at the time of the screenplay. Very few movies, with a length of about two hours can make you feel like it was stretched, this movie succeeds in doing that. The acting, like the movie, is great in a few scenes and just unbearable in most of the other scenes. Anil Kapoor, performs very well in certain scenes, and hams in a few. Watching this veteran actor growing in to the variety of roles he plays is a real treat for his fans. Shefali has got another meaty role after “Gandhi, My Father” and she does fairly well. Her charm actually makes you smile in certain scenes though she is loud in many them. Anurag Sinha the new comer shines with his angry young man looks and his stone cold dialogues. He gives a very sincere effort in a badly etched role. As his love interest, Aditi Sharma is in the film only symbolically and is unimportant to the story. Still she does manage to look pretty and simple. Milind Gunaji, the old actor, a corrupt politician, and a good CID officer have all acted just a little worse than what a real terrorist / politician might have acted like. They were terrible to say the least. The young girl acting as the professor’s daughter looks very cute. Sukhvinder Singh gives two impressive songs, “Mein Chala” and “Jogi Aya”. For the rest of the movie, the music too is just about average. Almost all the other departments of the film including editing, cinematography, dialogues, art direction, were mediocre. Lastly it pains me to write that Subhash Ghai did not present this film very well. He has made unbelievable characters look fantastic with his previous track record of movies, but with this film he seems like a different director. The movie gets a generous 4 out of 10 from my side and that is simply for the good intentions of the movie. Suggestion: My suggestion for a movie with a story line revolving around a human bomb would be an Arabic movie called “Paradise Now”; it was the first Palestinian movie entry to the Oscars. This too has its share of flaws, but is a good watch.